What is causing the radicalization of Europe? How can democratic institutions regain legitimacy? Is Central Europe turning toward illiberalism? Discuss in a public debate titled Institutions in Crisis! 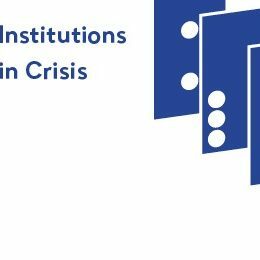 It is our pleasure to invite you to a public debate titled Institutions in Crisis which is accompanying the eponymous issue of the Aspen Review quarterly. Within the regular Aspen Review Café series, we give our readers an opportunity to discuss current topics with renowned experts and authors. This time we will visit Bratislava, in cooperation with the Centre for Open Policy. The event will take place on May 16 from 6 p.m. in Bratislava (Café Berlinka, Námestie Ľudovíta Štúra 33/4, see map) and it will be held in English. The debate will be chaired by the director of Aspen Institute Prague Jiří Schneider. Please confirm your participation by May 13 at rsvp@aspeninstitute.cz.